Spotted a Ray blue Baleno near Phoenix Market City. The car had White roof and Black alloys, must admit it was a drool worthy! the i20 in comparison looked so plain. I could not capture the picture, but remember seeing something similar at Nexa showroom ORR Bangalore. Is this cosmetic job being offered by Nexa? Baleno means 'flash of light' in Italian. Baleno means "flash of lightning" in Italian not "flash of light"
There is approximately 84K INR difference between the version . Can my fellow BHPIANs help me if i have made the right choice ? Very true. It seems MSIL are eager to break the 30kmpl barrier at any cost at the expense of build quality. 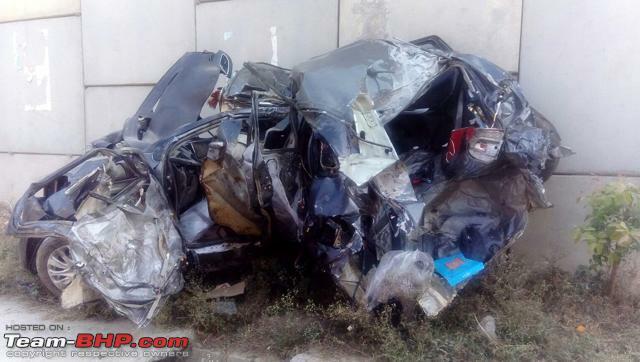 I sincerely hope none of the cars end up like this Baleno. I guess yes. I feel Zeta is more VFM. However, since the headlamps look like Swift, the car will look a lot like Swift. The car gets a lot of character from its projector headlamps. And the audio system will also slightly remind you of Swift. If you are okay with these, go for Zeta. How can it seat 5 'Tall' Adults if you yourself are saying that the Rear seat headroom is limited for tall passengers? What gives? Also talking about the build quality - I think in the What you wont, we could mention iffy build quality (beading sagging is not good), rattles, etc. ^^^I guess they meant that there is enough lateral space & leg-room for 5 tall adults. But, rear-seat headroom and under-thigh support (seat) is limited for the 5 folks. In comparison, the kerb-weight of our A-Star (2 segments lower) is 860 - 880kg. Last edited by supremeBaleno : 10th December 2015 at 15:42. Thanks for the review Aditya and Mods . We booked the Baleno Zeta (Petrol) on 7th Nov. Though we are still waiting for the allocation. Do we have any picture showing how much the vehicle sags when 5 passengers are sitting inside the vehicle? The neat dashboard and a spacious cabin welcoming you the moment you step inside it. The car felt upmarket with smooth-to-touch plastic feels significantly superior. The Baleno on the other hand has even bigger spacious cabin and plastics felt cheaper than i20. but one thing it scored better than i20 is the extra passenger Airbag. Spending 8L OTR price in Bangalore and not getting a basic airbag, inclined us to book Baleno over i20. There are few negative reviews on the internet questioning the structural strength of Baleno. I intend to keep the car for more than 5 years. What do you guys think of spending the money on the right car just for an extra airbag??? 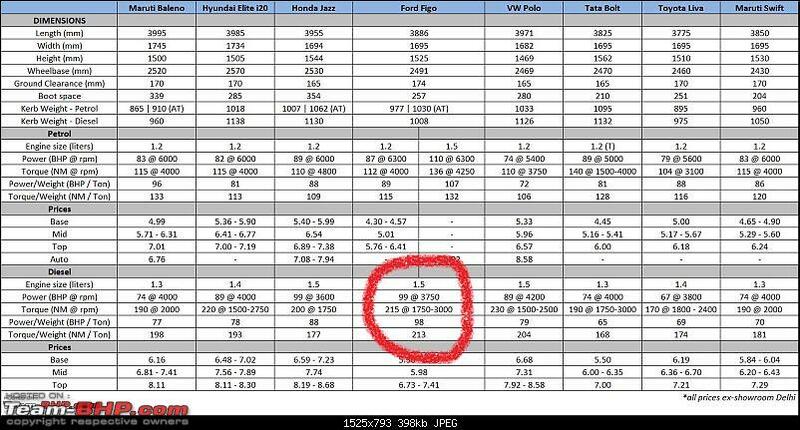 On the positive side, the Baleno's torque to weight ratio of 198 Nm / ton is second only to the Polo's 204 Nm / ton. It only increased my admiration for the Baleno. The only worry is about the structural strength but that is something with every Maruti car. I have already booked the top petrol variant in November and eagerly waiting to get my hands on the beauty!!! Like mentioned before in most of the threads on tbhp itseld, let's leave that to the agencies for the crash report and discuss it once we have the actual facts and figures. As no one know's how exactly did the car end up in a state, like it did. Buy a car which is fun for you to drive, not fun to keep. Moreover do you really think that the car will start deteriorating post 5 years? I'm a little confused with the questions you have put out there. congrats on your booking! Most of us are skeptical with the structural rigidity of the car, but hey! everything on internet is not true. Let's wait for the crash reports to roll out. The Maruti Baleno has been launched in India at a price of between Rs. 4.99 - 8.11 lakhs (ex-Delhi). • Dual Airbags & ABS with EBD are standard across all variants! • Ordinary interior quality is Swift-like. Several budget grade parts in here - I personally checked and find it very acceptable. Top end looks cool actually with Apple play unit. Lower models also looks decent enough. • Rear seat headroom & under-thigh support are limited for tall passengers - Most Indian families have average height and back seat is mainly used by ladies, so no issue most of the time. • Light build quality (weighs merely 865 kilos). Lacks the solidity of its rivals - Japs are known for that, nothing new. With all safety features I guess its not that bad. Compared to Elite i20 and Jazz i guess its at par. • CVT variant only in Delta trim (one above base). Suffers from rubber-band effect on the highway too - Autos anyways have limited market here till now. Hopefully they will get top end soon. • More substantial & premium Elite i20 is priced only Rs. 17,000 - 37,000 above - Depends on views. Personally i checked i20 Elite. Its good but not great, interiors are nice looking for sure but don't have great quality. • Waiting period running over 4 months for some variants / cities - It will come down soon. • Sold exclusively through Nexa outlets. Limits the reach of the car - Reach will increase very soon, faster than we expect. Car looks brilliant. Had a chance to drive one; one word - Smooth ! Only thing that remains to be seen - will it cannibalize sales figures for Swift? Only bone to pick - Car felt extremely lightweight. Hope it has got good structural rigidity and is able to pass NCAP! Maruti Suzuki India is planning to increase the prices of all its cars from January 2016 including the Baleno hatchback. The increase will vary model-wise, and the maximum increase will be up to Rs 20,000. It's said to be due to rising input costs and weaking Rupee value against US dollar. Maruti Suzuki India isn’t the only manufacturer that will increase its car prices, Hyundai and Toyota too have decided to hike prices of all their models. While Hyundai has announced to increse its car prices up to Rs 30,000, Toyota cars will get pricier by up to 3 per cent from January 1, 2016. Excellent review, Aditya. Thanks, and rated 5*. As for the car, it's a brilliant car to say the least. Has most of the departments covered well, and Maruti have also made a few adventurous decisions in some places, rather than playing it way too safe, which is commendable. Styling wise, it looks fresh and really chic in some colours, and most importantly, doesn't try to go over-the-top in any way. This is one car that I feel wouldn't look boring even a long while down the line even after being a very common sight, the way most Marutis tend to. And that's good news. Interiors are really classily designed, and the black looks great in the sea of fake-classy beige everywhere. Again, this coming from Maruti is pleasantly surprising, as we all know the public tends to prefer beige to black, and Maruti tend to prefer the public to the enthusiast. The material quality might not be all that great, but then it's a Japanese car. You have to expect lightweight stuff in it. On the flipside, one can stay assured that everything inside should age perfectly with the car, and not go kaput once in a while like some Europeans do. So much for interior quality, you know. As for the performance, I feel Maruti have just about gotten away with the 74 BHP motor due to the weight, and anyway the talk of performance of this car was always going to be more about the weight than power or torque. That it still manages to be competent, and in case of the petrol, class-leading, is very good. However, I still don't understand how a 'premium' car gets an underspecced diesel motor. Since the time news had come that the YRA will get the 1.3 Multijet itself, I had taken for granted that it would be the 89 BHP spec. When the official specs were announced, I was in for a shock. It just didn't make sense. Maybe they wanted to reserve the higher state-of-tune for the Ciaz and S-Cross, but that's underpowered there too in turn. And a Ciaz buyer won't turn into a Baleno buyer even if they have the same and equally powerful engine. Both have a different market of their own. Though, there is news that an 89 BHP Baleno could be coming in soon, and that would make things far better. With considerably low power, the car is on par with its rivals. With more than enough of it, it should be a completely different beast. The dynamics as far as major media reviews have suggested, also should be well sorted. I have not driven the car, and so would not comment on that front too much. Though, it would have been nice to have a tight and eager handler like the Swift. However, Maruti was never Hyundai, so the dynamics shouldn't have been a worry in the first place. What could have been a worry, the pricing, actually turned out to be a pleasant surprise. Contrary to what most were guessing, I had always anticipated extremely competitive pricing for the Baleno. However, the final numbers turned out to be killer. And the results are here to see. Despite way lesser outlets, it actually outsold the i20 in the first month itself. And that could be the sign of things to come ('Kizashi' means just that, interestingly). As for the NEXA experience, it shouldn't be all that bad. It's a Maruti initiative, remember, and Maruti know how to execute it well. The thing is, due to poor dealer concentration, the dealers are seeing an absolute assault of buyers. And for many, the priority is to get their car as soon as possible, rather than be treated like the son-in-law of Maruti. Once sales settle down, expect better treatment. Or, if you are really keen on a 'premium' experience, just go and buy an S-Cross. See how they treat you then. They want to move as many of them as possible, and a few nice gestures will be something they'll do happily. And in fact, these are still mass market cars, and Maruti including mass market cars in their 'premium' network is in itself a nice gesture. Initially I had thought this NEXA network would have only D-Segment and above cars from Suzuki, and would be around only in a few metros. But it seems to be a far bigger and wider plan from Maruti. What I am really happy about, is that the B-Segment is properly on a roll now. We have moved on so fast from the extremely quirky 'compact sedan' segment, that whoever invested into the compact sedan segment of late (read Tata and Ford) must be repenting their decision. The Zest and Aspire are extremely competitive cars in their own right, way beyond their sales figures, and both will seriously feel the heat. However, I'd better have the entire segment stopped, and a couple of good cars is still a decent tradeoff. Those cars were all ridiculous as concepts, screaming 'cost saving' in the very idea, and playing with the sentiments of the people by bringing fake prestige into the scene. That most of them worked very well still isn't a good enough excuse. And the lesser said about the 'Cross' hatches, the better. The market really seemed to be veering in the wrong direction. Instead, the good ol' hatchback is back with a bang. The top three carmakers (Mahindra is SUV only) of the country have brought in excellent hatchbacks that take the game way forward. And the people have readily voted with their money too. It reminds of the times a decade ago, when we had had another hatchback revolution, with similar new hatches like the Swift, Getz, etc taking the game forward from the Indicas and all. Then too, the people voted with money. And the Swift proved an iconic nameplate in the modern Indian car scene. That is one reason I'm really grateful to Hyundai India. They showed the guts to bring in the Elite i20 at a time when these 'compact' cars had started becoming the rage. Their own old i20 hadn't exactly been the segment leader. The new one too was just a 'small' car. Most of what was in the pipeline were compact sedans of all types, from the Zest to the Volkswagen <4m Vento. The Amaze had seen tremendous success. Their own Xcent had just come in fresh, and was getting really popular. They could have chosen to only sell a compact sedan and keep making money. The market would have kept going the 'compact' way. Any new hatch projects would have been slashed or reconsidered temporarily. Instead, they chose to bring the i20 into the scene. Their own Xcent was just 6 months old. It was sure to get cannibalised. Yet they launched the i20, and launched it at the right price. It not only turned the entire segment on its head, it made sure that others took note of it. 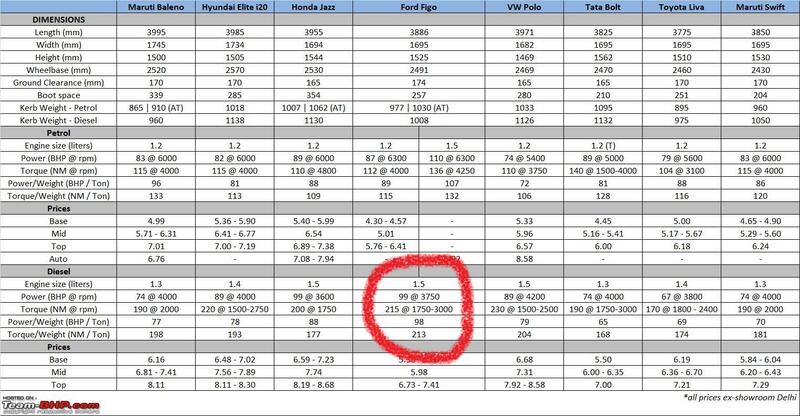 The Jazz came into the scene earlier and Honda stayed on their toes with pricing. The Baleno came here the way it is primarily because of the i20. It may not have come close to say, a Swift in terms of numbers, but we all know whom the momentum and popular opinion was with all the time. I still hated two things about it- the artificial, unnatural beauty, and the enthusiast-repellant road behaviour, but everything else was just about perfect. The game had moved on. And then the Baleno is taking it to yet another level. Perhaps, just about any automotive revolution in this country needs Maruti to play a major part, if not be the pioneer themselves. Everything right from AMT's to hybrids to budget automatics is catching up only when Maruti decided to show up. And it was time Maruti stepped into the supermini (yes, they are too good for the desperately wannabe 'premium hatch' name, let's call them a much better sounding 'supermini' for the moment, shall we?) segment as well. And they set standards of their own, in terms of pricing, weight management, infotainment, safety equipment, and more. Others are again feeling the heat, and I won't be surprised if the Jazz gets a small price cut in the near future, or heavy discounts, or maybe a small boost in equipment like the old Jazz X. Again, the game is moving forward, in sync with the developed countries. Safety is being taken much better care of. Designs are getting more mature. Competition is increasing. Indeed, another sign of very good things to come.